Did you know Google has an official FAQ, frequently asked questions, document just on the internationalization of your site? It is designed to help SEOs and webmasters make their sites localized and internationalized while considering the impact on search engines. In fact, John Mueller of Google supposedly wrote most of the document, which you can find over here. What’s the best URL structure for a multilingual site? What can I do if a user reaches the “wrong language” version of my pages? Google shows the “translate” link for my page in the search results, even though my page is already in the language used when searching. How can I prevent this? Should I use character encodings or HTML entities for non-ASCII characters? Can I use automated translations? Do you support multilingual content in rich media files like Flash? Can I use meta tags to specify the language of a page? What’s the best URL structure for a multi-national (geotargeted) site? Is the server location important for geotargeting? Is it possible to geotarget with a CDN? Apart from ccTLDs, Webmaster Tools, and server location, what can play a role in geotargeting? What can I do if a user reaches the “wrong country” version of my pages? I want to target the whole world; what should I do? Can I use meta tags to specify geotargeting? Can I target different English-speaking countries separately with the same content? Can I use “rel alternate hreflang” across domains / across TLDs? Does “rel alternate hreflang” replace geotargeting? Since this markup can be specified in an XML Sitemap file, should I use separate Sitemap files for each language and location? I use “rel-alternate-hreflang” on my pages, why does it sometimes not work? Can I use “rel=canonical” together with “rel-alternate-hreflang”? 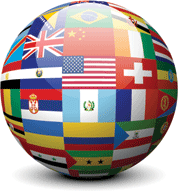 How can I check the indexing of my multilingual or multiregional content? Can I use non-English / non-ASCII URLs? Can I block individual countries from accessing my content? Can I use interstitials in some countries?